This document will show you how to move the database files without detaching the databases as we do in SQL 2000. 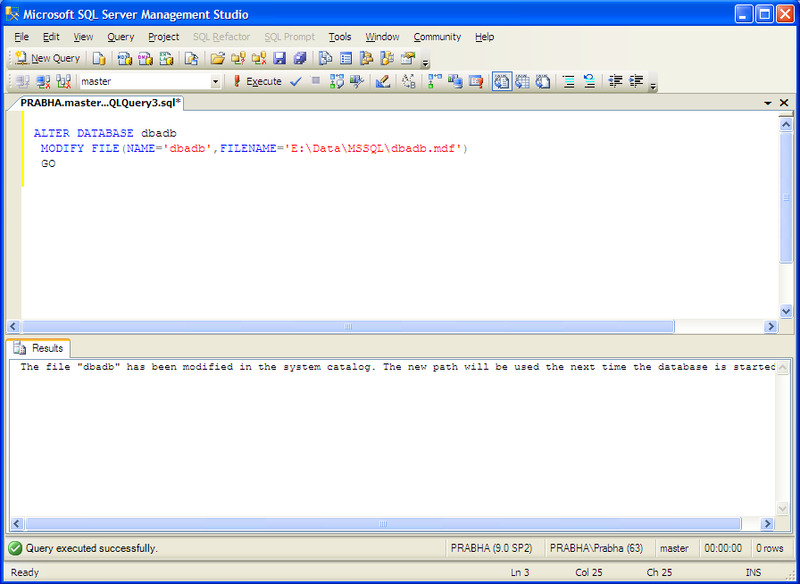 To move files, we have to specify the current logical name of the file and the new file path, which includes the new file name. I would like to tell important point in this method we can move only once file at a time in this manner. 1. 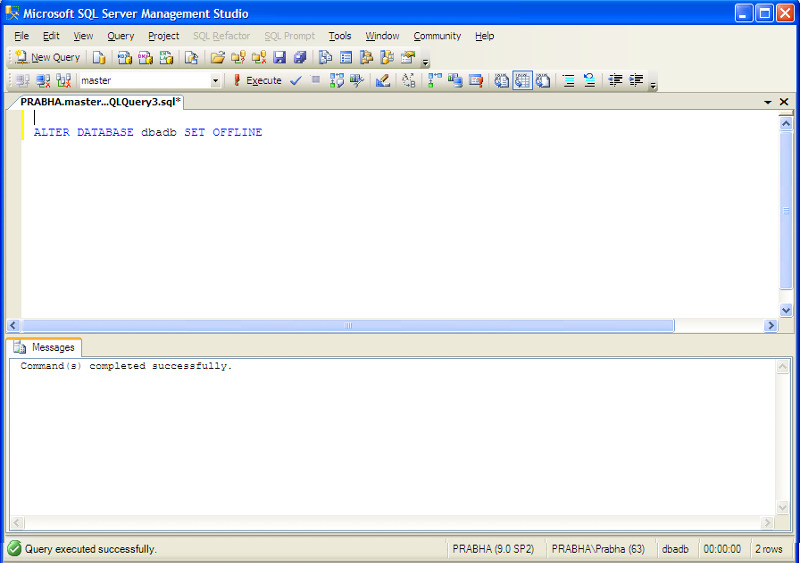 Take a sp_helpfile output of the database, which will provide the logical file name of the data and log files. In Windows Explorer physically move the file to the new location, and then tell the SQL Server Database where that file now lives. You can move only one file at a time, So if you want to move the more than one file like data and log files, first move the file using the step3 described above then repeat the same step for other files of the database. 5. 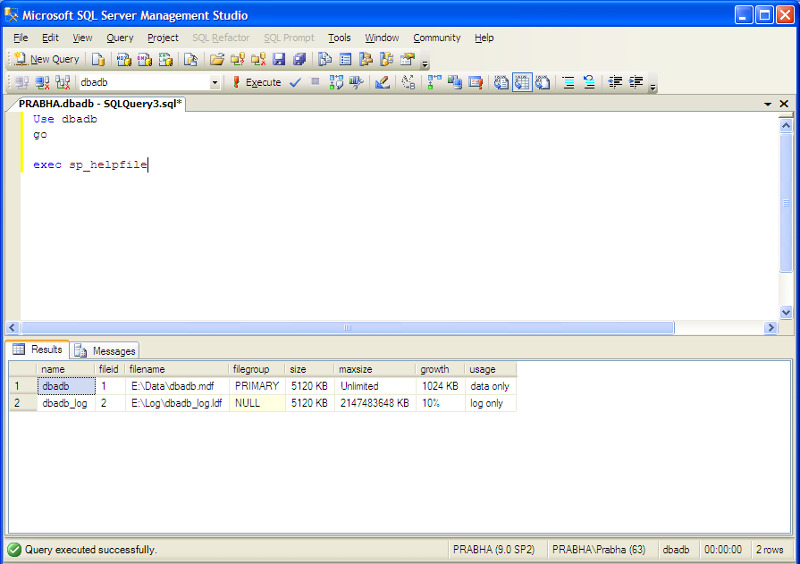 Verify the move by checking sp_helpfile output of the database again and you can observe the new path. 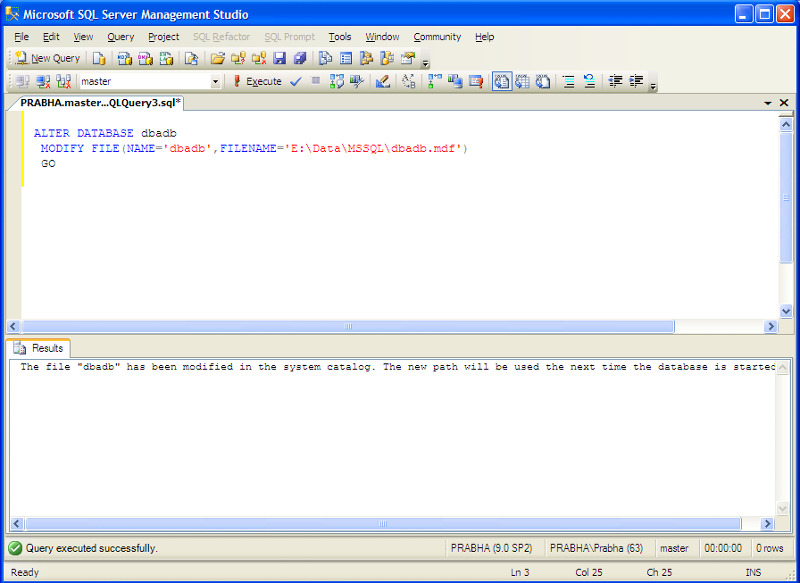 See the highlighted area in Red, It shows the current file path. There is no possibility of dbid mismatch in this method; change in dbid will cause login failure for the logins which have default db as the db you have detached. The database owner will not change but in detach and attach method you need to record db owner before detaching database to exactly match the db owner while attaching database. Cross database ownership chaining property will be retained in this method where as in detach and attach method this property will be lost while you attach the database. Hope this simple tip will help you guys.